Since the Age of Civil Wars in Japan, the Gale School Ninjas rendered distinguished services in the limelight for as long as 500 years, while the Thunder School Ninjas survived behind the scenes as the shadows of the Gale School Ninjas. "Jakanjas", Space Ninjas from outer space, invade this planet earth. They return their attention to Ninjas, their counterparts, and instantaneously destroy the home of the Gale School Ninjas and the Thunder School Ninjas where the Ninja Training School is. However, Yosuke, Nanami and Kota, apprentices of the Gale School, manage to escape by luck. 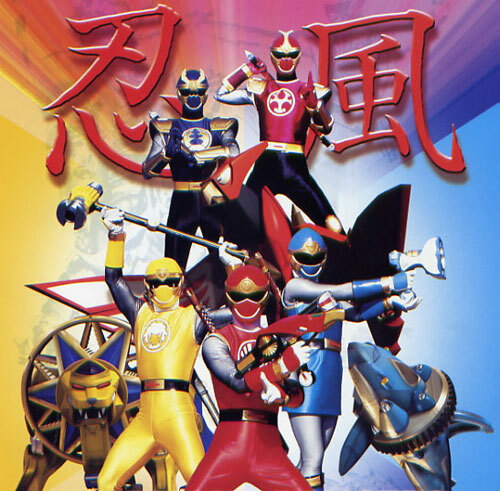 The three transform themselves into Hurricane Rangers, and fight by making full use of "Ninjutsu" and "Mechanical Devices" against Space Ninjas who make an incursion into this planet earth again and again. While they are fighting, two survivors of the Thunder School are gazing at the three from afar. Are they Hurricane Rangers' enemies or allies? © 2003 Toei Company, Ltd. All Rights Reserved.